Product #15937 | SKU LN2MIC-ZOOMH4N | 0.0 (no ratings yet) Thanks for your rating! 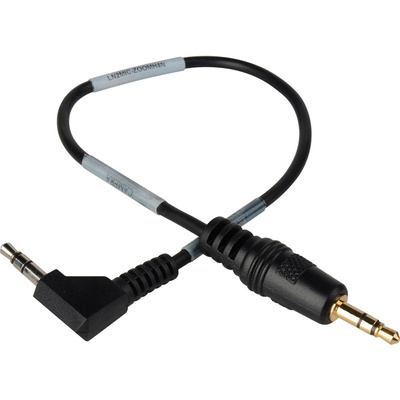 The cable features a -25dB L Pad attenuator on both audio channels to reduce the prosumer line level output (-10dBV) to the cameras microphone input level. The cable is designed with the proper impedances to assure maximum voltage transfer and low noise operation. The cable shield is isolated on the camera end to prevent shield noise from directly coupling into the camera connector ground. All resistors values are 1% metal film to assure similar voltage attenuation between the stereo inputs and cable ends are labelled for proper connection.